Federal and territorial officials cut the ribbon this week on a $10.4 million mine training facility at Aurora College. Federal and territorial officials cut the ribbon on a $10.4 million mine training facility at Aurora College on Monday. The Centre for Mine and Industry Training in Fort Smith includes vehicle bays, space for mining equipment, classrooms and offices. It was built with about $4 million from the federal government and $6.3 million from the Government of the Northwest Territories. N.W.T. 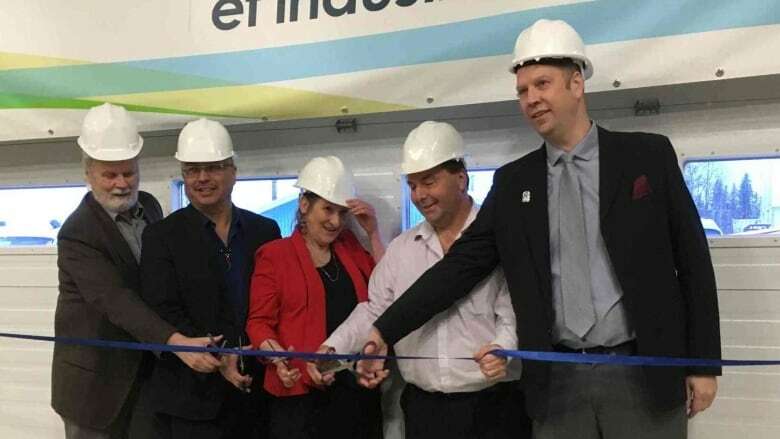 MP Michael McLeod, who was on hand for the official unveiling, said in a statement that investments in the college will help foster innovation and keep the territory's economy "globally competitive." The new facility is home to programs that train students to work as heavy equipment operators, surface or underground miners and diamond drillers, among others. The mining sector is the largest private-sector employer in the territory, Wally Schumann, minister of industry, tourism and investment, said in a statement. "The Centre for Mine and Industry Training will provide valuable and transferable skills in an innovative learning environment that will benefit residents and help us to build our mining workforce in the Northwest Territories." Schumann said the centre is designed to be energy efficient.